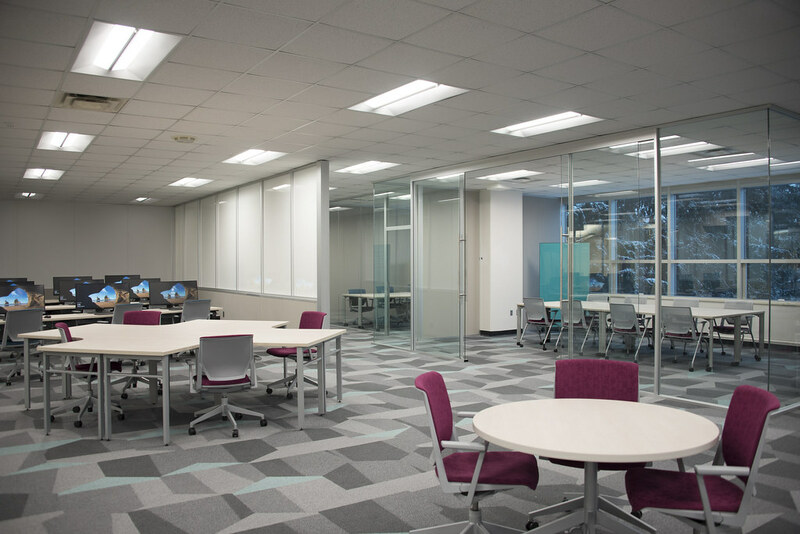 Michigan State University has invested in a cutting-edge Digital Scholarship Lab (DSL) within its Main Library that includes a 360° immersive visualisation room from Igloo Vision. The Shared VR facility offers flexible applications for all disciplines in teaching, learning, and research. For example, history classes can explore architecture from around the world; interior designers can make their designs come to life; and game developers can develop and display their video games in a fully immersive environment. This was a significant project for Igloo, not just because it's our first US-based university assignment, but also because it features an array of the latest generation laser projectors, equipped with specialised ultra-short throw lenses. This means we get all the benefits of laser projectors (image quality, blendability, reliability, etc) in a relatively confined space, with no shadowing and no loss of image quality. Incidentally, this installation generated a ton of media coverage, including this piece in Education Technology magazine. Christopher P. Long, Dean of MSU’s College of Arts & Letters. We love the video, put together by Michigan State University, explaining the benefits Igloo is bringing.